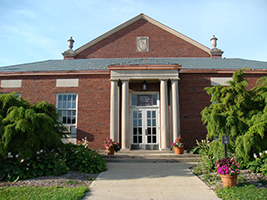 The Public Service Archaeology & Architecture Program is a full-service cultural resource management and research program sponsored by the Department of Anthropology, University of Illinois at Urbana-Champaign. Initiated in 1991, the program conducts a variety of research and cultural resource management projects in prehistoric and historical archaeology, and architectural impact assessments, for federal, state, and local agencies, as well as private organizations. Projects have been conducted across the continental United States with a focus in the Midwest.